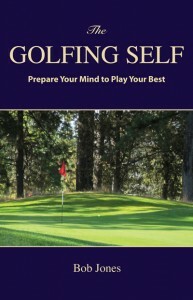 This excerpt from my latest book, The Golfing Self, explains how to plan the way you play a golf hole. 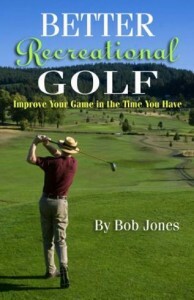 “Think of playing a hole of golf as a team project. At work, you might be on a team of four or five people, organized to plan and complete a project of some kind. Every member of the team has a role which is coordinated with the roles of the other team members, such that their efforts will return a satisfying product. The team in golf consists of yourself and the strokes you plan on playing from where you are, to the hole. All of you are in this together, each playing their role. The relationships between the work of each team member and its desired effect on the outcome of the project, getting the ball in the hole as quickly as possible, are known from the start. “What you would not do at work is get a general idea of what you wanted to have done, ask someone to do this part of it, and when they’re finished, see what’s left and ask someone else to do another part of it, and so forth, never coordinating the tasks or the team members as a unified group. Playing golf in this way means you hit a shot off the tee, see where it ends up, hit another shot, see where it ends up, and keep doing this until you finally hole out. This is what I call “hit and hope” golf: hitting a series of unconnected shots and expecting good results. It’s not the way to shoot low scores. 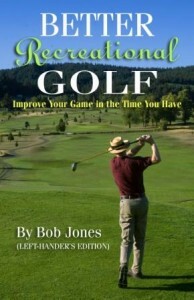 “Before you tee off, make a plan for getting the ball in the hole. Expand the Gathering and Deciding phases beyond your tee shot to include every shot you intend to take on this hole. Plan it out in the following fashion. See yourself on the green hitting your approach putt (if you can see the pin from the tee). Next think of the spot in the fairway from where you would want to hit the ball to the green. From the tee, decide what’s the best way to get the ball to that spot in the fairway. We’ll call this the scoring sequence for the hole. “Now all your team members have been assembled and each one has a job to do. You can move on to the Preparing phase for the shot you’re hitting now. Every shot you’ll be hitting is now part of a planned sequence of the shots that are most likely get the ball into the hole as soon as possible. “As noted golf coaches Pia Nilsson and Lynn Marriott say, every shot must have a purpose. That purpose can only be known in light of the shots that follow it. “I’m hitting this shot to here, because next I can hit it to there, from where I can hit it over there, and into the hole.” Feel that each shot is the start of a sequence of shots that gets the ball into the hole, and you have thought through what that sequence is before you hit the shot you have right now. Every shot you plan to hit from here on is, again, part of a project for which you have gathered team members, decided what their roles will be, and of which you are the team leader. “After you tee off and get to where your tee shot ended up, create a new scoring sequence, from the hole back to the ball. If you’re now playing from somewhere close to where you intended in the original sequence, the new sequence could be a continuation of the original one. Your gathering would be done to take into account any variables that were not apparent from where you first hit the ball. There is a movement afoot to get golfers to play nine holes instead of eighteen. That’s a really good idea. One of the problems with golf is that eighteen holes is almost a full-day affair unless you tee off at 7 in the morning. Say you tee off at 10. By the time you get home, it will be about 4 in the afternoon, and there’s the whole day. If you had played only nine holes, you would be back home two hours earlier, or more. Nine holes is enough golf to hit all the shots, get your golf fix in for the day or week. Since you haven’t been on your feet for four hours, you’ll feel much more refreshed when you finish. Those of us with back problems can play and not subject our back to too much stress. Those of you without back problems can avoid them by not swinging a golf club when you’re a bit tired. Doing that puts more strain on your back than your swing already gives it. This might be just one of my values, but I prefer to stop doing something when I still have the feeling I would like to do more, than stop because I’ve had enough. That for me is the difference between nine holes and eighteen. As far as your handicap goes, you can still turn in your scores. The first nine sits in the background and gets combined to make a composite eighteen when you turn in the second nine some days later. The course rating is the sum of the two nine-hole course ratings. The slope rating is the average of the two slope ratings, .5 rounded up. The movement I referred to above is part of a way to get new golfers introduced to the game. Eighteen holes is a lot for golf for a newbie. Nine holes is much more enjoyable and a smaller chunk to bite off at the start. I think it’s the same for experienced golfers, too. I haven’t played eighteen holes all year and I don’t miss it a bit. The more I investigate my golf game, the more I throw out complications that get in the way of the basic objectives of golf: hit it straight from tee to green; hit it close from off the green; hit it close or in from on the green. Really, that’s all there is. I’m trying to figure out how to do all that as simply and reliably as possible. As regards the swing, it is easy to think of it as a circular movement. If you look at the path of the clubhead, that’s almost exactly what it is. That’s a complication, though. I prefer to think of the swing as linear. The club gets taken straight away from the ball and swing straight back through it. That’s a feeling, not a physical fact. The physical fact is that the clubhead does circle above my head and does circle back down through the ball and on into the finish. What I feel is that my hands go straight back and they bring the clubhead through the ball going in a straight line, not on an up-and-down curve. My hands never lose their connection with the ball. They arrive at the ball before the clubhead does, and lead it into the ball. Everything is moving along the line that I wish the ball to travel on as well. As for the short shots, I’m just trying to pinch the ball into the ground and let it fly, or run, straight to the hole. Again, it’s a linear-feeling stroke aimed at the hole. One pitching stroke, one chipping stroke, used as much as possible. Putting? There are two kinds of putts: the ones you think you can make, and the ones you just want to get close. For the first kind, I hood the club a bit going back to keep the clubface square. For the other kind, I open my stance and use a modified chipping stroke. It’s a simple game. Don’t make it hard for yourself. This all works, by the way. I only play nine holes in an outing, but I’m always at 40 or under and I don’t hit great shots. I just hit very few bad ones. Lately I’ve been spending my time at the range doing nothing but putting. Here’s what I’ve learned about putting in the past few times out. 1. I miss short putts (2-3 feet) too many times. It is because my clubface opens on the backswing, but the short swing doesn’t give time for the clubface to close again coming into the ball. So I have developed a technique of hooding the clubface just a bit on the backswing so it stays square to the line. This technique works for putts out to twenty feet or so, after which when getting the ball close is a more realistic expectation than getting it in the hole. 2. To putt the ball farther, you swing the putter back farther. But there comes a point at which you lose connection with the ball and subject yourself to frequent mishits. There is only so far back you can take the putter and maintain control of the stroke. Past that point, to make the ball go farther, you have to hit it harder. When I have a putt that I have to hit harder like this, I hit it like a chip. I’ll turn my feet a bit toward the hole, opening my stance. Then I’ll take the club back only a short way and use my right hand feel to hit the ball the right distance, like I would if I were chipping from just off the green with a 6-iron. 3. There are three kinds of putts. First are the ones you think you can sink. Line is paramount, so you spend your time aiming the putter and ensuring a square stroke and contact, using your normal putting stroke. The second kind are beyond the point where you think you have a chance to make it, but can still get it close. The idea here is to cozy up the ball to the hole and give it a chance to fall in. The third kind is farther away than that, the true approach putt. All you want to do is get it close. Going in would be sheer luck. Each of these putts can be hit with a different stroke. The second and third kind of putts can be hit successfully with the “chip-putt” method described above. Putt 17 inches past the hole – fact or fiction? Dave Pelz, the short game and putting guru, put out a factoid in the late 1970s that hitting a putt so that it would go 17 inches past the hole if it missed is the speed, at the hole, which allows the most putts fall in. Many golfers and teaching professionals believe that. But is it true? One key to consistent putting is for the ball to approach the hole at the same speed every time. That way, you always know how much break to read since one variable, speed of the putt, is now a constant. The fastest speed a putt can have and still go in the hole is 4.3 feet per second (fps), rolling over the centerline of the hole. A putt can be going 2.1 fps at the edge of the cup (outside edge of the ball meets the inside edge of the hole) and fall in. How fast would a putt that grazes the edge of the hole and stops 17 inches past it be traveling when it reaches the hole? Unfortunately, that’s not a question we can give a unique answer to. Greens have different speeds, meaning the decay rate of the putt differs. They have slope. They have grain. All this means that a putt traveling the same speed can go farther or shorter, depending on those variables. To get the ball to get to the hole at a 17-inch-past speed, it would have to be hit differently almost every time. Say your target speed is 1.2 fps. A putt going that fast at the hole on an uphill putt will not go as far past the hole as it would if the putt were downhill. How about a bermuda green where you’re putting uphill against the grain versus downhill with the grain? Those two putts will finish at wildly different distances past the hole should they miss, even though they approach the hole at the same speed. To have all these mentioned putts finish 17 inches past the hole, they all have to be hit at different speeds. That is what you do not want to do. Pelz did say, and this fact is not paid attention to, that 17 inches is an average, which means it is not a goal. It is a guideline. By the way, I know about the lumpy donut and all that. Modern greenskeeping practices have pretty much eliminated or at least greatly reduced that effect. If it exists, your putt has to be moving very slowly in order for the effect to be noticed. The biggest problem is that the “17 inches” concept focuses on the wrong thing. Forget about where the ball would go if it missed. Concentrate on where you want the ball to go when it falls in. Do you want it to hit the bottom of the hole first? Do you want it to bounce off the liner about halfway down? Some other place? Whatever it is, that is what you want to concentrate on, because it is a reflection of the speed at which the ball approaches the hole. You want that speed to be the same, so it hits the liner in the same place. Drill: Practice this by laying down a club and laying down a coin about a foot in front of it. Now start with three-foot putts and have the ball hit the club just barely. When you can do that consistently, move to four feet and continue. Keep moving back foot by foot, out to about 15 feet. When you get good at this drill, you have reduced green-reading to one variable, slope. Your line and speed will match up a lot better than before, and you will start making putts you were barely missing, all other things being equal. Your grip, your aim, and the rhythm of your swing contribute to hitting good shots more than anything else. Here is how to get your swing rhythm right. When you hit a few bad shots in a row, check this fundamental first. It might be all you need to correct to start hitting good shots again. I would like to ask a favor of you. If you have read BRG, especially the Left-Hander’s Edition, would you please go to Amazon and write a review? I’m asking so maybe I can make a few bucks off them (though believe me, I’m not getting rich), but more so you can help me spread advice to a larger number of recreational golfers that is correct, relevant, and targeted to what they/we need to know–which is why I wrote them.